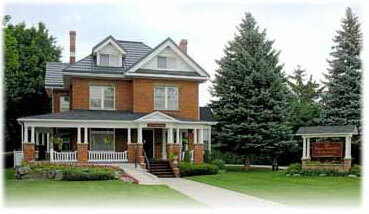 Ferguson Funeral Home, The Valley Chapel, Ltd. Warmth of homelike atmosphere, providing airy parlour style rooms for comfortable visiting, and accommodation to share memories with photos and memorabilia. Lounge to enjoy light refreshments. Beautiful front veranda for gathering during the nicer weather or for quiet times. Second floor additional seating and quiet rooms.